Turns out you won’t be getting the bargain you think you’re getting. If you notice carefully, there are ALWAYS signs like this out in front of the store. The percentage may vary, say, from 40% to 60%, but the idea is the same. Every day they’re doing custom framing for an average of “50% off”. This can only mean one thing: their “50% off” price IS their regular price. They’re simply doubling their prices, then offering you 50% off so you can believe you’re getting a deal. The Attorney General of the State of New York agrees with this. After a two-year investigation, Michael’s recently settled with the State of New York for $1.8 million over deceptive advertising practices for custom framing. At Baldwin Hill Art & Framing we offer no-gimmick pricing and top quality service every day. We actually sent out secret shoppers to some “50% off” big-box stores in the area, and sure enough their “50% off” price was within a few dollars of our everyday honest price. 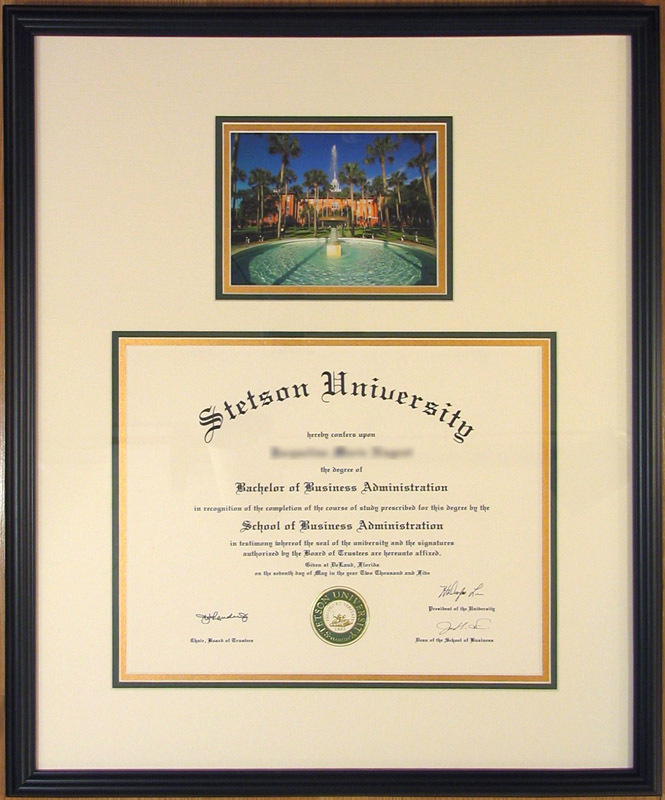 Let our dedicated staff design a frame that will preserve your treasures and show them at their best! 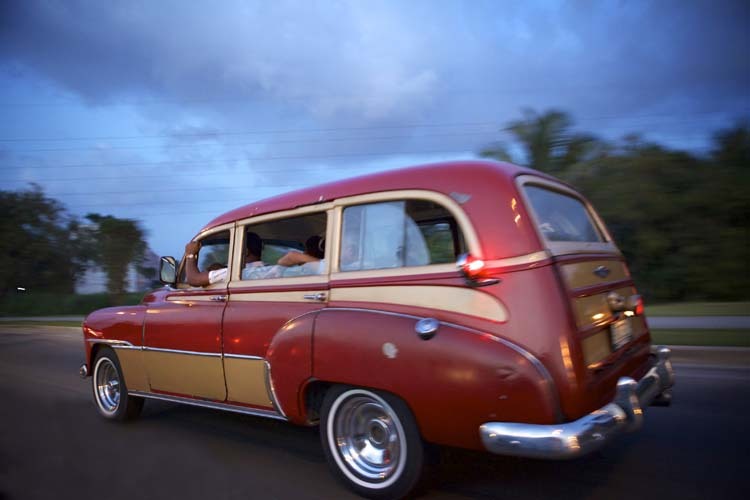 Frame Of The Week – Made In America! 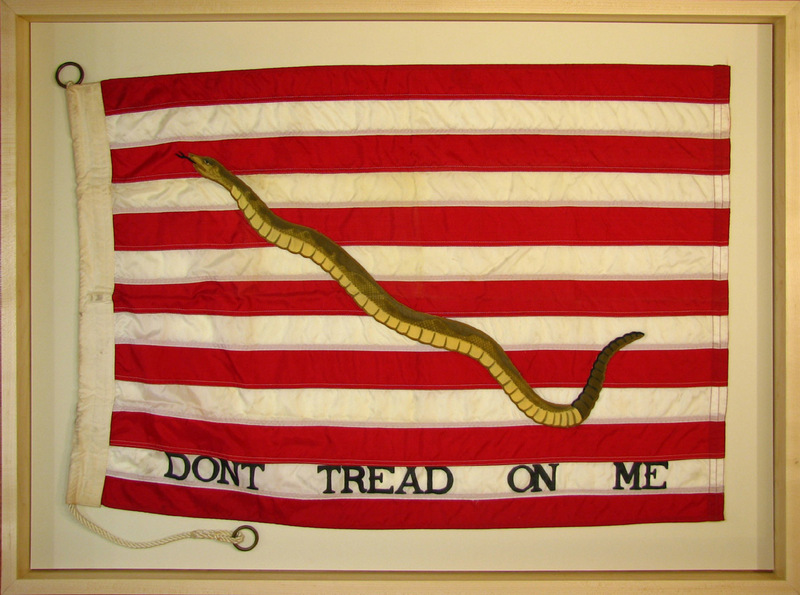 When this reproduction of the iconic “Don’t Tread On Me” flag from the American Revolution came into our shop, we decided that it needed a handsome treatment befitting its dignity and history. All of the materials in this frame were American-made. The lovely maple shadowbox moulding was made by Vermont Hardwoods. 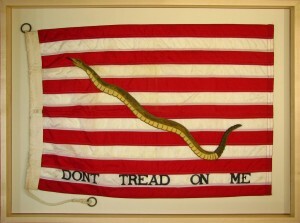 We decided to mount the flag on a lightly-textured Crescent mat (made in Wheeling, Illinois). The piece is glazed using Tru-Vue Conservation Clear glass (made in Faribault, Minnesota). The flag itself was attached to the backing with fabric fasteners in strategic places, and the lower lanyard was stitched to the backing. Bring us your American icon and let us help you display it proudly! A hand-copied, decorated Bible page from the 15th century! 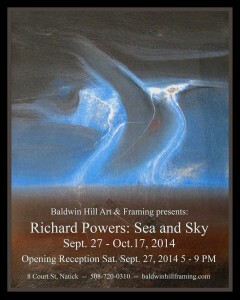 This piece presented a few challenges: first, it was inscribed on sheepskin. Second, it was inscribed on both sides, and the customer wanted to be able to show either side. One particular challenge with sheepskin is that it must NEVER touch water, otherwise it will warp and curl (or to put it another way, sheepskin wants to try and return to the shape of the sheep!). This means that we could not use our usual water-based adhesives to hold it in place. The customer selected a silkscreen-texture top mat for each side of the piece, and a different solid-color bottom mat for each side. She then selected an ornate silver/gold moulding with a somewhat distressed finish to complement the historic period of the piece. Finally she selected Museum Glass to provide both optimal clarity and protection from UV light (The photos above were taken with the glass in place; note that there are NO reflections whatsoever!). 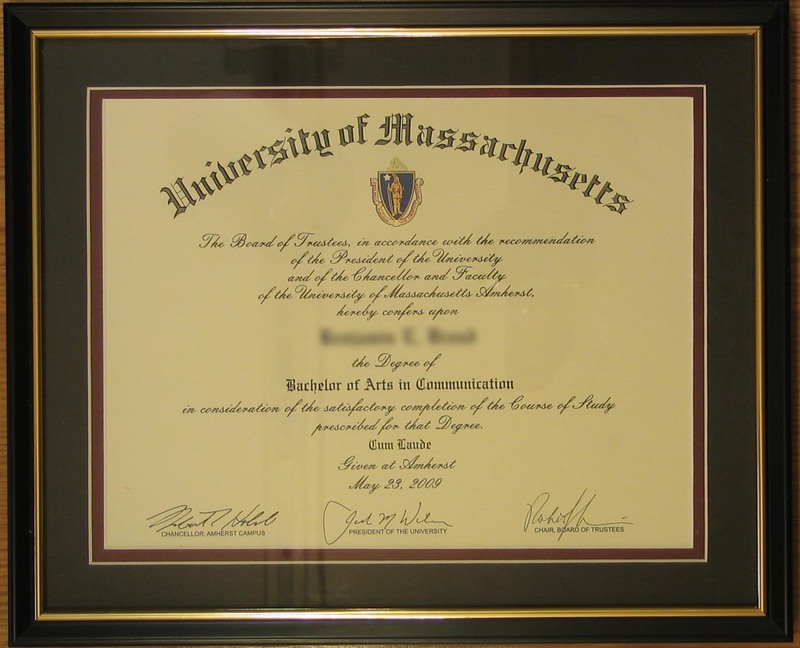 We used Mylar photo corners to hold the page in place on one of the mats (Mylar is approved by the Library of Congress for direct contact with historical materials). We then adhered the two double mats back-to-back with a paper spacer in between. This reduces the pressure on the edges of the page and allows it freedom to expand and contract. We then built two frames back-to-back, and used spacers between the mats and the glass to fill out the thickness of the doubled rabbet. 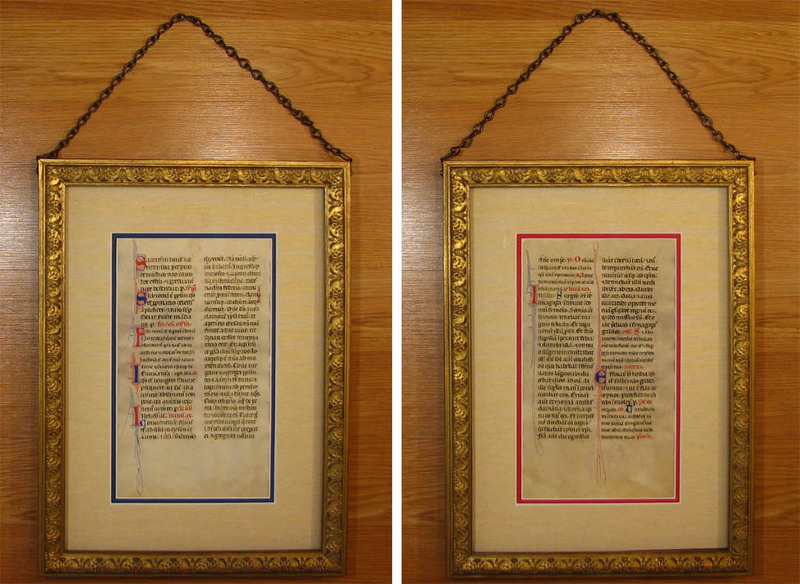 The frames are held together with decorative metal plates on the bottom and sides. 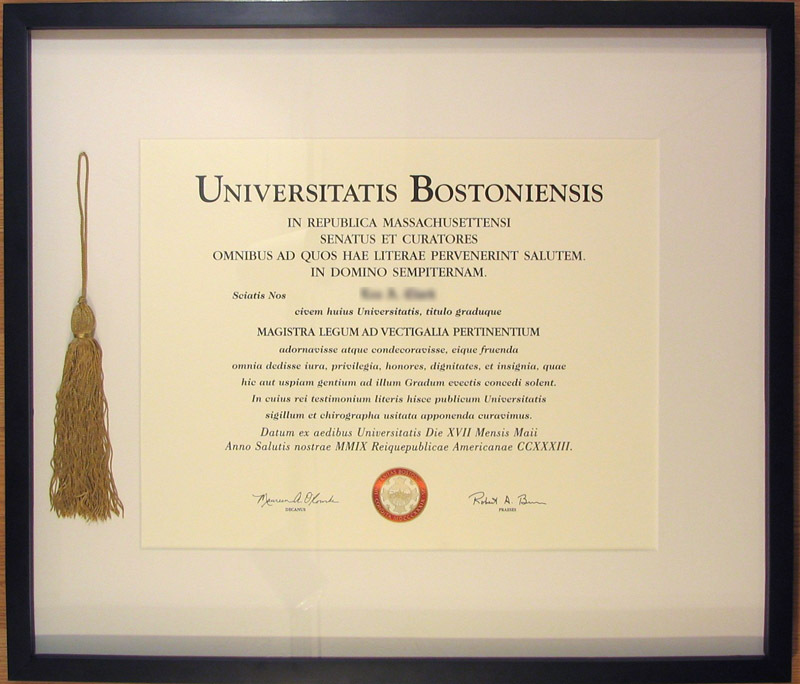 As for hanging hardware: while we normally place a hanging wire on the back of a frame, this frame really has neither a front nor a back. Instead we used a chain attached to D-rings at the tops of the side rails of the frames. All of the hardware was painted with a dark hammer-textured paint to provide a proper Renaissance feel to the piece. 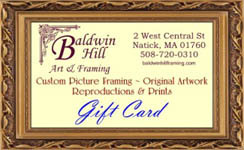 Baldwin Hill Art & Framing Gift Cards make the perfect gift for any occasion! 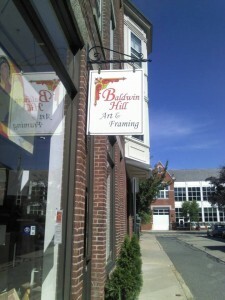 Gift cards are good as cash for anything in the store — custom framing, artwork, ready-made and Value Line frames, gifts, digital imaging services, and more! Gift cards may be purchased online in denominations of $25, $50, $75, or $100. They may be purchased in any denomination at the store. Click the button below to buy your gift cards today!